One of the most challenging aspects of transitioning to a plant-based diet can be re-setting your default kitchen staples, and creating a new set of “go-to” meals. As an ex-cheese addict myself, I struggled when I first started transitioning to a vegan plant-based diet, staring at my bare cupboards and fridge and wondering what on earth I could possibly cook. 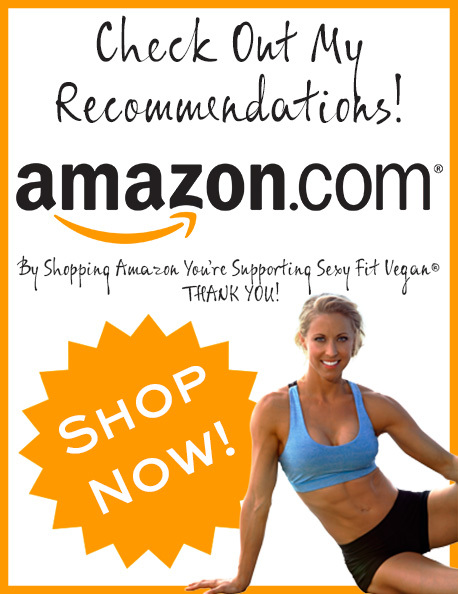 A big part of making the transition easy and maintaining a plant-based diet is changing the main foods that you automatically keep your kitchen cupboards stocked with. Many people are under the impression that eating vegan is basically code for eating expensive, but if you’re clever about it, and stock up on the right essentials, you can in fact save money! Buying in bulk and keep certain “go-to” foods stocked in your kitchen at all times is key. I can’t sing the praises of these tiny little seeds enough (apart from when they get stuck in my teeth). Chia seeds are perfect to be mixed into your cereal, sprinkled on your salads or thrown into your cakes or pancakes as an extra nutritional hit. Chia seeds are also a wonderful egg-replacement, binding things together just like an egg does, perfect in, say, homemade vegan burgers. For a delicious dessert or even breakfast, chia seeds can be used to make guilt-free chia pudding that tastes better than it looks! Linseeds are just as wonderful as chia seeds, packed full of many of the same nutrients. Buy them milled rather than whole, and they’ll be easier for your system to digest. Use them as a different egg-replacer, add them to your smoothies, and sprinkle them on salads to add variety to your plant-based diet. Nuts are a plant-based diet staple for most (with the exception of people with nut allergies), as nuts are an incredible source of nutrition. Just think… There are enough nutrients inside one little nut to produce a full-sized tree! One downside is that nuts can be expensive, especially if bought in small quantities. I suggest buying in bulk and taking advantage of any 2-for-1 offers to stock up and have your walnuts, almonds or cashews on hand for your cereals, smoothie bowls, cakes, stir fries, burgers, and nut milk… Be imaginative! I can no longer imagine a life without tahini. It seems that my old cheese addiction has been replaced by this magical paste made from protein-packed sesame seeds. Whether it’s for whipping up your own hummus or making delicious, creamy and easy salad dressings, tahini will quickly become a staple to add to your plant-based diet “go-to” list. For most busy people, remembering to put your chickpeas, lentils or beans (collectively known as pulses) to soak the night before you want to use them is often impractical. Hell, I rarely plan ahead that much, and that’s often one of the advantages of veganism: no meat to defrost in advance! For those last-minute plant-based meals, having a few cans of beans and chickpeas in the cupboard can be a lifesaver. A great bonus of these cans is that you can use the water your pulses come in as yet another amazing egg replacer! Aquafaba (which is what chickpea or bean water is known as) whips up into peaks just like egg whites. Try it, you’ll be amazed! When you do have the time to plan ahead and meal prep for the week, dried pulses are more planet-friendly (think of all those cans you’ll save) and more pocket-friendly too. I like to boil up big batches of beans at the weekend and then freeze them in meal-sized portions. I can then use the pulses for last-minute, mid-week pasta salads or to whip up some refried beans if I fancy Mexican. Do you miss that cheesy, creamy taste after switching to a plant-based diet? Luckily for you, you don’t have to resort to dairy products to get a bit of creaminess into your life. Nutritional yeast comes in little flakes or as a powder, and is a key ingredient in all vegan cheese recipes, and any recipe that tries to replicate a wonderfully creamy texture, with absolutely none of the cruelty. 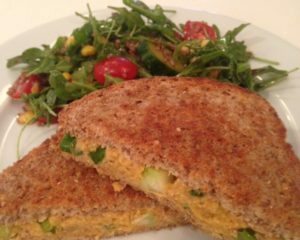 Containing lots of B vitamins and often fortified with vitamin B12, keep nutritional yeast in your kitchen cupboard and experiment with the incredible recipes out there, like this Grilled Chickpea Salad Sandwich! By keeping your kitchen stocked up with these plant-based diet bad boys, you’ve got yourself the basics for loads of delicious vegan recipes. Keep that fridge brimming with fresh vegetables and that fruit bowl spilling over and you’ve got everything you need to keep yourself nourished and thriving for a life time! Katie is a natural living expert who spends most of her time writing for Sleep Health Energy (SleepHealthEnergy.com/), a one-stop shop for everything you need to know about enjoying top-to-toe health and getting a restful night’s sleep, which will leave you bursting with energy. When she’s not writing, you can find her experimenting with plant-based recipes in the kitchen, trail running, exploring the world on a vegan diet or reading a good book.